There is a nice piece in the current The New Yorker on Michael Moorcock entitled "The Anti-Tolkien." While Moorcock's style of fantasy is radically different from Tolkien's in almost every respect, and Moorcock himself famously criticized Tolkien's work, I have been a great fan of both authors for at least three decades now. Indeed, I can't imagine what contemporary fantasy literature (or role-playing games) would be like without both of them! Anyhow, happy 75th, Mr. Moorcock. And happy 2015 to all lovers of fantasy! Ethan Gilsdorf, author of Of Dice and Men: The Story of Dungeons & Dragons and the People Who Play It, has a piece on the new edition of the game, entitled "Dungeons & Dragons strikes back," in The Boston Globe. The article quotes Pulitzer Prize winning author Junot Diaz, as well as my friend Christopher Robichaud, who recently edited the book Dungeons & Dragons and Philosophy. My impression of the fifth edition of D&D is generally favourable. I plan to write a review at some point, but suffice to say (for now) I think that it it is a vast improvement over the 3rd and 4th editions. So I'm glad to learn that it seems to be doing reasonably well. Last Halloween I ran the introductory scenario “The Haunting” for my friend Mark and our better halves. Mark is an experienced role-player, and has been a member of many of my groups over the years (including my last Call of Cthulhu campaign). 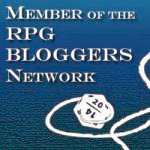 Our spouses, on the other hand, are not role-players (my spouse had played only one RPG before; Mark’s spouse not at all). Nonetheless, they were happy to try the game out, especially given that it was Halloween and the setting, 1920s Boston, intrigued them. I was interested to see how easily they would grasp the essentials of the game. Call of Cthulhu always has been a pretty straightforward game, rules-wise at least, and I was curious if this still was the case. Character creation was simple and straightforward. The Quick-Start rules give players a set of eight percentage scores (40, 50, 50, 50, 60, 60, 70, 80) to assign to their characters’ primary characteristics (Strength, Constitution, Power, Dexterity, Appearance, Size, Intelligence, and Education). The secondary characteristic Luck is determined by rolling 3d6 and multiplying the result by five. The new secondary characteristic, ‘Build’, is determined by adding the character’s Size and Strength scores together (as are the character’s Hit Points). Sanity and Magic Points remain determined by Power. The players then assign nine percentage scores (70, 60, 60, 50, 50, 50, 40, 40, 40) to their eight ‘occupation’ skills and their credit rating skill. These scores replace the ‘base values’ (which are listed on the character sheets; the ‘base values’ are the characters’ skill levels sans any training) for the relevant skills. Four ‘personal interest’ skills then are selected; these are non-occupation skills, and players add 20 percentage points to the base values (thus these values, unlike those of the characters’ occupation skills, can vary depending upon the skills in question). There are three things that I noticed right away as changes from earlier editions: (1) Power is no longer quite as important as it used to be (though it is still very important), since it does not determine a character’s Luck score now; (2) Education uses the same scale as the other attributes; and (3) Education is no longer quite as important as it used to be, since characters are simply given a set number of skill points. (I should note that this is not the case in the full rules, where Education continues to determine characters’ starting skill points, though many occupations now depend upon other attributes as well.) Consequently, while Power and Education remain very important, they are no longer quite as decisive as they were in earlier editions of Call of Cthulhu. One more obvious change: characteristics employ a percentage range, rather than the traditional range (3-18 or 8-18, depending upon the characteristic) of earlier editions. For the new players this actually was an improvement, as they found the percentage scores intuitive and meaningful. For older players, the character sheets include beside each of the characteristics values at one-half and one-fifth of the percentage scores. The one-fifth scores correspond to the old scale, so players more familiar with earlier editions can refer to those when thinking about their characters. Bertrand Smyth, a cautious British Lecturer (38 years old) on Ancient Greece from London, visiting Harvard at the time of the game (Str 50, Con 60, Siz 50, Dex 50, App 40, Int 80, Pow 60, Edu 80). Max Brewster, a hard-boiled Private Investigator from Lowell MA (45 years old) (Str 50, Con 60, Siz 40, Dex 80, App 50, Int 60, Pow 70, Edu 50). Helen Tilton, a charming Canadian photojournalist who sometimes freelances for the Boston Globe (33 years old) (Str 60, Con 60, Siz 40, Dex 50, App 70, Int 50, Pow 50, Edu 80). The adventure itself proceeded quite well. After an hour or so of easing the neophytes into the activity of ‘role-playing’ (I really hammed things up whilst playing some of the non-player characters in order to get them into the spirit of the game), and making a few necessary skill rolls here and there, everyone quickly got the hang of things, and henceforth drove the story forward with their own decisions and actions. 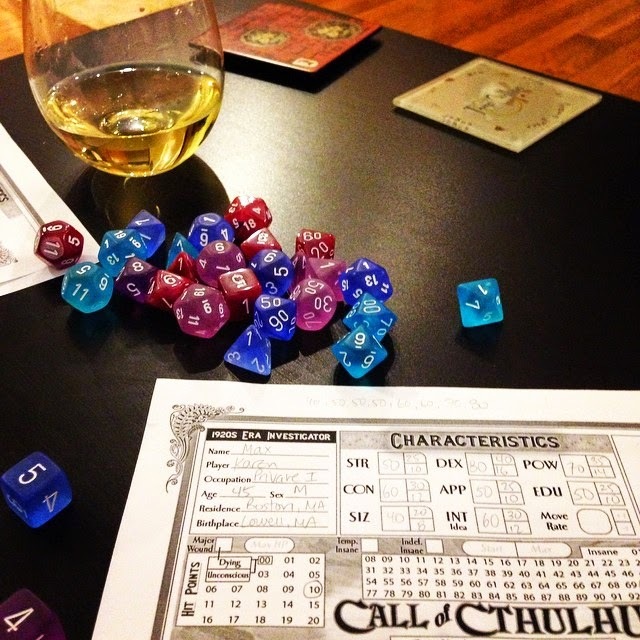 In this respect, at least, 7th edition Call of Cthulhu remains a great game with which to introduce new players. The characters did a fair amount of preliminary research (looking things up in the library, visiting the Boston Globe archives, and so forth). This helped the new players understand how to interact with non-player characters, and how skill rolls worked. Eventually they visited the ‘haunted’ house. Sanity points were lost, Mark’s character got thrown out of a second story window by an angry bed frame, a rusty animated dagger later attacked Mark’s character (for an academic he certainly was keen on being assaulted! ), and so forth. The players seemed genuinely scared by the things happening in the house, and decided to retreat before solving the mystery. They did some additional research, and the session ended with them coming up with a plan to return to the house and put an end to the evil that apparently had taken it over. All of the players seemed keen to complete the adventure, and continue the game at some point in the future. For the purposes of introducing people to role-playing games, then, the 7th edition Call of Cthulhu Quick-Start rules did the trick! While the 7th edition rules do not strike me as significantly superior to those of the earlier editions, they do not seem inferior either. Most of the changes are minor, and some – such as the end of the ‘Resistance Table’, the severing of Luck from Power, and the changes to Education to bring it into line with the other characteristics – seem helpful. Thus it probably is slightly better than earlier editions for the purposes of introducing new players to role-playing games, or at least the Quick-Start version is, as everything uses percentages now. As for some of the more ‘fiddly’ new mechanics in 7th edition, three are discussed in the Quick-Start Rules: ‘fighting manoeuvres’, ‘bonus’ and ‘penalty’ dice, and ‘pushing’ rolls. Fighting manoeuvres refer simply to attempts to do things in combat other than simply damaging one’s foes. Examples include: (1) disarming one’s opponent; (2) knocking one’s opponent to the floor; and (3) grabbing and holding one’s opponent. The character attempting such a manoeuvre makes a fighting (brawl) skill roll, which can be opposed by the target’s dodge or fight skill. These rolls can be modified by the combatants’ ‘build’ scores (determined, recall, by their size and strength characteristics); these modifications involve the application of bonus or penalty dice, discussed below. The mechanics are simple and straightforward, as they involve simply a comparison of the opponents’ degrees of success, with the opponent with the higher skill score winning in cases of ties. The new system of employing ‘bonus’ or ‘penalty’ dice, to be used to reflect either advantageous or disadvantageous circumstances, is pretty straightforward. Essentially, when a character enjoys some sort of significant ‘benefit’ in attempting a task, she gains a bonus die, which means that when rolling for a percentage, the player rolls two ‘tens’ dice and takes the better one. So, for instance, a player might roll an 8, 3, and 4; assuming that the ‘4’ is on the die designated as the ‘ones’, then the player may decide whether her final result is an 84 or a 34, whichever is most advantageous). Penalty dice work in the opposite way (players take the worse of the two ‘tens’). During our session this came up only a couple of times, and seemed straightforward enough. The other new mechanic is ‘pushing’ rolls. Very roughly, if the Keeper (game master) judges it feasible, a player may opt to have their character try a task again after a failed roll, on the condition that a second failure might be even more costly than the first. While I made the option of pushing a roll available a couple of times during the adventure, all of the players were too risk-adverse to try it. The mechanic seems easily ignorable for those groups who dislike it, though I think it can be a reasonable option in some circumstances and will continue to make it available to my players in our next session. Based upon my experience with the Quick Start rules, I look forward to reading properly the full version of the 7th edition of Call of Cthulhu. And, more importantly, I look forward to completing “The Haunting” and starting a new adventure! The Hobbit + The Office (original UK version) = hilarious SNL skit. Over at the RPGsite, there is a thread that asks posters to discuss “Games You Have Soured On.” Below are three games to which I have ‘cooled’ (‘soured’ seems too strong) over the years. 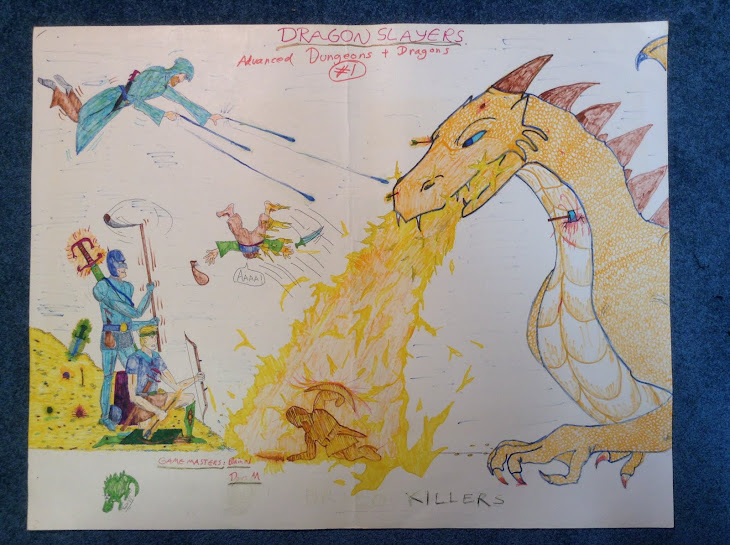 When I first read through the 3rd edition D&D rules, I thought: “At last – most of the problems with AD&D have been fixed!” Everything seemed more coherent and consistent within the ‘d20’ version of the game. Many of the old, seemingly arbitrary restrictions (e.g., racial restrictions on classes, level limits on non-human characters, certain alignment restrictions on classes, etc.) had been jettisoned. The fact that the rules seem to have ripped off many of its core elements from ICE’s old Middle-earth Role-playing game (e.g., rolling 'high' is always good; a skill system that was integrated with a class system by having different skills cost different amounts of 'points' for different classes; a unified, consistent system for ability score modifiers; a unified experience chart for all classes; etc.) was fine with me, as I had been a huge fan of MERP back in the day. However, after running two separate campaigns (each slightly less than a year long) I realized that the game just was not for me. Acting as the Dungeon Master was a chore, both in terms of the prep work, and actually running the game. Combats seemed invariably to drag on and on, especially at higher levels. The constant checking of modifiers, feats, spell effects, attacks of bloody opportunity, and the like, became soul-crushingly tedious. 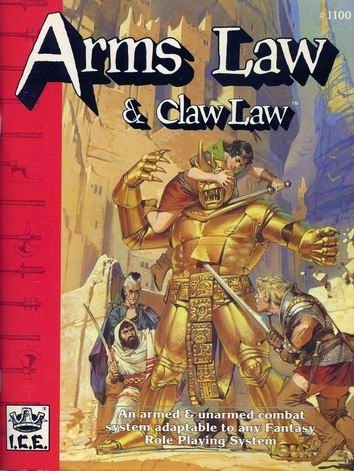 And all these annoyances accumulated even though I had introduced house rules in both campaigns to slow down the characters' rate of leveling. I can't imagine what a headache regular leveling would have generated! In retrospect, I'm amazed that I stuck with 3/3.5 for so long. And I'm amazed that it was so popular – and still is, with Pathfinder. I guess that I just don't share the same tastes as many (most?) post-2000 role-playing gamers. One great thing about the ‘Old School Renaissance,’ for me at least, was that it helped me realize that there were many other people out there who felt the same way. After souring on 3.5 D&D, I turned to Castles & Crusades as an alternative. Initially I was quite enthusiastic about the game. (I even wrote a very positive review of it.) C&C seemed to be exactly what I wanted: an 'old school' game that retained some d20 elements that I liked (ascending AC, a 'unified' system for resolving saving throws and tasks, etc.). And I still like the game's versions of the bard and ranger classes. Over time, though, I realized that the SIEGE system (C&C's 'unified resolution mechanic') did not really work that well in practice. It came with certain costs, and the difference between 'primes' (tasks that concerned the characters' 'favoured' ability scores, with respect to which they had a target number of '12') and 'non-primes' (tasks that concerned all the other ability scores, with respect to which characters had a target number of '18') was rather too great. In practice, it lead to some weird outcomes. For instance, clerics proved to be the best scouts in the game. And, rules aside, the consistently awful editing of C&C products invariably rubbed me the wrong way. In time, I decided that I was better off simply modifying earlier versions of D&D (Basic/Expert, AD&D, or original) to my tastes. With the availability of free retro-clones like Swords and Wizardry and OSRIC, I saw no need to continue with C&C. (Eventually I even contributed to a ‘quasi-clone myself,’ Crypts and Things.) I’m still ‘okay’ with C&C. I would play in a C&C campaign if a good GM were running it. But I have no interest in the game myself these days. A few years later I picked up the new version of RM, the (oddly named) ‘Standard System,’ and while it had integrated many of the better ideas from the Companions into a coherent package, it was just … too much. I tried to run a RMSS campaign around 1999, and it was a disaster. The system was not the only problem, as our group had a singularly horrible player (a power-gaming ‘optimizer’ – my first and last encounter with this loathsome species). But RMSS proved to be way too rules-heavy for my tastes. I've never been tempted to run Rolemaster again, except for the ill-fated and short-lived Rolemaster Express, which seemed to recapture some of MERP's simplicity and charm. 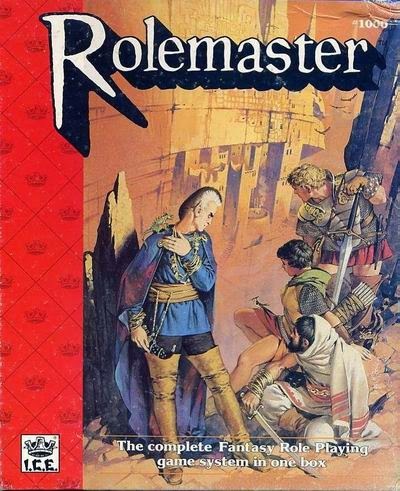 Supposedly there is a new version of Rolemaster in the works. I will check it out once it becomes available. Perhaps it will reignite the old flame? I’m sceptical about that, but will try to keep an open mind.